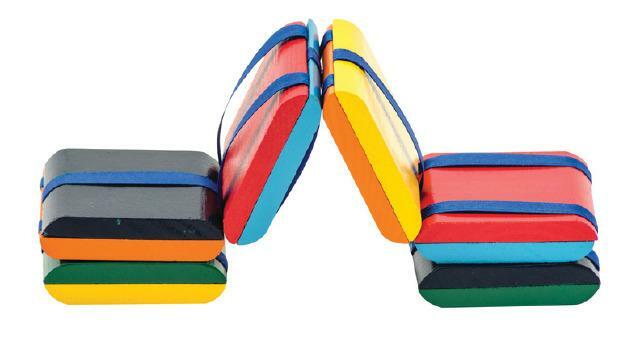 Jacob's Ladder is a colorful version of a classic toy that will provide hours of imaginative fun. It makes use of a timeless optical illusion to enchant and confound children and adults alike. To set the toy in motion, hold the top block with the single ribbon facing outward. Rotate the wrist forward and backward and watch the blocks fall. Sturdy wooden construction holds up under hours of play.